Happy Saturday Friends! It's time for another Sweet Stop Sketch. Be sure to stop by the Sweet Stop to see what my fellow Sugar Babies created and to play along with the sketch! 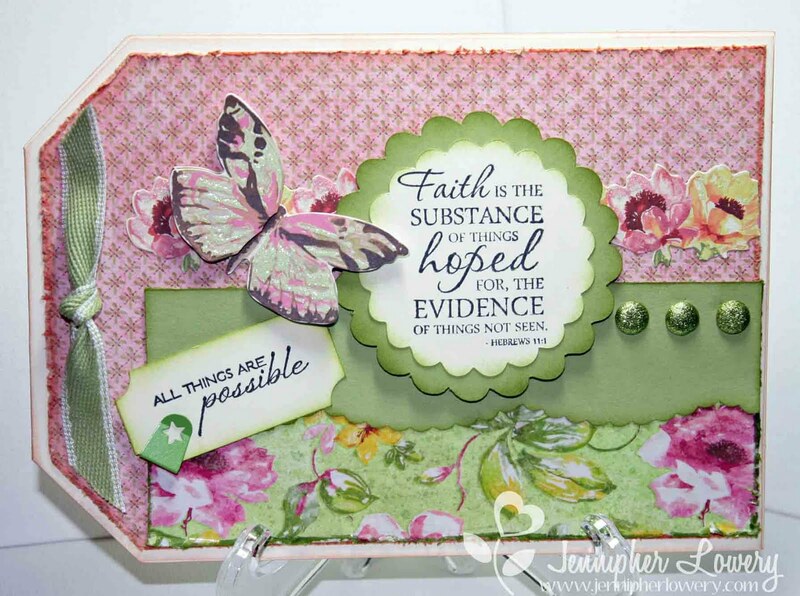 love the layering on your card. SUch a beautiful version of the sketch! This is beautiful, love the paper and brads, just gorgeous. Wow, Jennipher, this is GORGEOUS! Jennipher, the colors, texture and everything about this is beautiful!! Love this! Great colors, papers, and sentiment! I love the tag shape! Gorgeous and such fantastic colors! Wonderful sentiment too. What a gorgeous tag Jennipher. The papers are so pretty and I love the butterfly. so pretty! Love that you made a tag with the sketch!! how beautiful and romantic and sweet! wow...you make me smile with your creation! Wonderful tag ! Love the colors and your layout. What a beautiful tag Jennipher! I love the layout you used & those brads are very pretty !!!! Just beautiful, Jennpher! Such stunning colors and it's like looking into a spring time garden with all the wonderful colors. Great scriptures, always one of my favorites :) Blessings to you this SONday! What a gorgeous, gorgeous tag! I love all the little details you added, and the scripture sentiment is wonderful! Oh my! This is just gorgeous!! welcome to the blog browsing group jennipher!...so glad you've joined us! Beautiful. Love all the layers and detail. Fabulous!!! What a lovely vintage card Jennipher. I love the pastel color scheme. How beautiful! I love the shabby chic feel. Wow! Miss Jennipher this is sooo Gorgeous! Love the colors and the beautiful DP & that Butterfly is just Soo Pretty! Beautiful card, Jennipher!!! 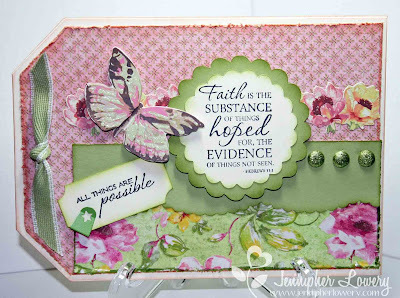 Love the colors... Congrats at being featured over at Practical Scrappers!!! Have a wonderful day!! Hugs!! What a gorgeous tag Jennipher!! Love those colors.